While learning English at Knysna English School, it’s best to stay with a host family for some part of the English programme. There are a number of reasons why this is tremendously beneficial and how it enhances the English-learning experience. All our host families are carefully chosen because we know what a great impact they have on students. We ensure that they have adequate comfortable space and that they are supportive and welcoming. This means that students will have a ‘home away from home’, which is especially important for younger learners. 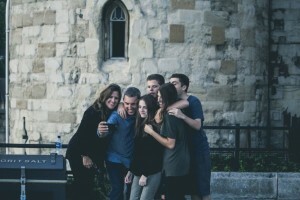 Learning a new language abroad can be daunting and even frightening and it is imperative that the host family plays a large role in making students feel at ease. Parents of younger students can also rest at ease that their children will be cared for. They will receive photos and information about their host family and we encourage parents of students and host families to communicate before and throughout the programme. Another great benefit of homestay accommodation is the fact that students will have the opportunity to extend their English-learning beyond the classroom. They will have the opportunity to practise what they have learnt during their course and also to hear and learn colloquial and idiomatic language. With young learners, we try and place them in families with children the same age as them to encourage the growth of friendships that will hopefully go beyond the duration of the English course. Lastly, by living with a South African family, students have the chance to experience South Africa culture and this is an extremely valuable part of an English-learning programme. This means that students get first-hand insight into how a South Africa family functions, what they eat, how they communicate and what leisure time activities they like to do. A successful and popular host family can do wonders for the marketing of South Africa abroad! This entry was posted in English Learning Tips, Knysna English School and tagged accommodation, host family, Knysna, Knysna English School, learn English. Bookmark the permalink.